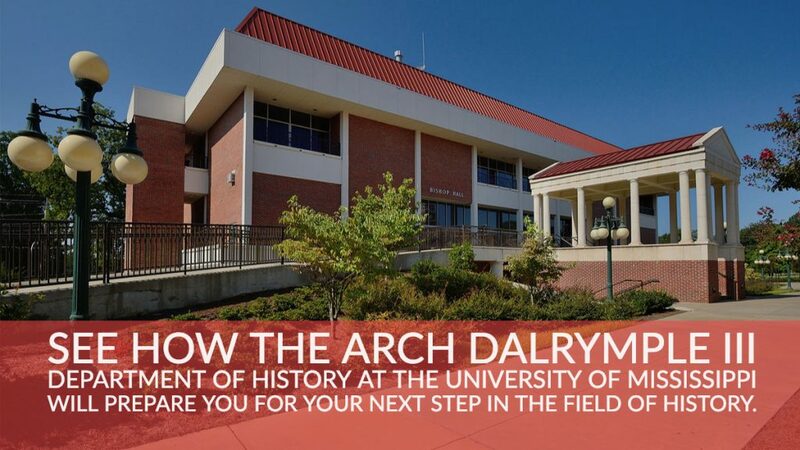 The Dalrymple Endowment provides an annual fund that enables the department to bring world-class scholars to campus to share their work with the university and local community. 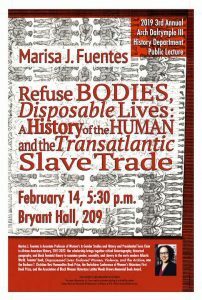 Dr. Marisa Fuentes delivered the third annual Dalrymple lecture, “Refuse Bodies, Disposable Lives: A History of the Human and the Transatlantic Slave Trade” on February 14, 2019 at 5:30 pm in Bryant Hall 209. Fuentes is Associate Professor of Women’s & Gender Studies and History and Presidential Term Chair in African American History, 2017-2022 at Rutgers University. Her scholarship brings together critical historiography, historical geography, and black feminist theory to examine gender, sexuality, and slavery in the early modern Atlantic World. 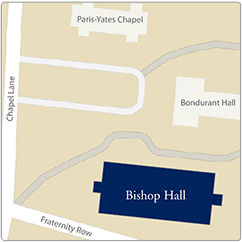 Fuentes’ book, Dispossessed Lives: Enslaved Women, Violence, and the Archive, won the Barbara T. Christian Best Humanities Book Prize and the Berkshires Conference of Women’s Historians First Book Prize, and the Association of Black Women Historians Letitia Woods Brown Memorial Book Award.